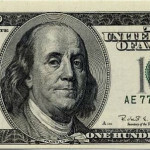 Saying “NYC is expensive” is a pretty obvious statement, but have you considered what the spending power of your cash really is? 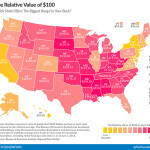 The Bureau of Economic Analysis recently enlisted the help of economists at the Tax Foundation to create two maps that examine how much $100 can actually buy you in each state and various metro areas across the U.S. Unsurprisingly, your Benjamins wane in value significantly once you step into the NYC metro area. 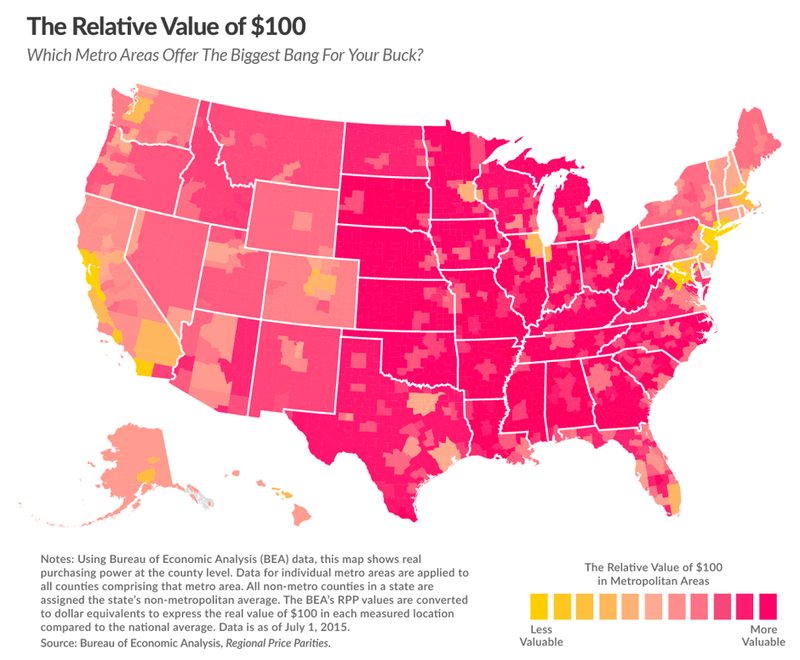 The map is pretty straightforward with different colors pointing to where purchasing power is favorable (places like Kansas where $100 is worth $117.51 are yellow) and where it slumps (seen in red), namely big cities where land, rents and housing are much higher and the price of goods and services are adjusted to make up for the difference. 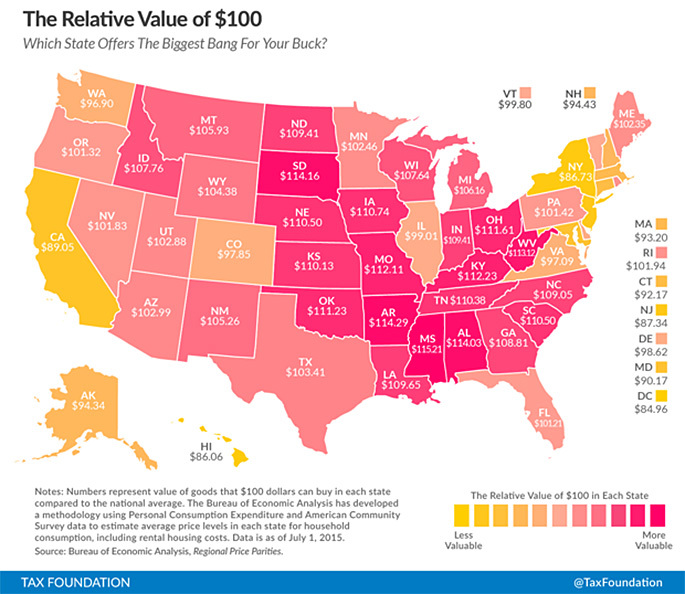 In New York City, $100 has a purchasing power of just $81.77, while in San Francisco, another expensive city, it comes to only $83.13. 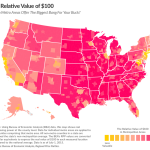 New York state overall fares a bit better at $86.73, which you can see in the map below. You can check out the above metro map in more detail here. It’s interactive!